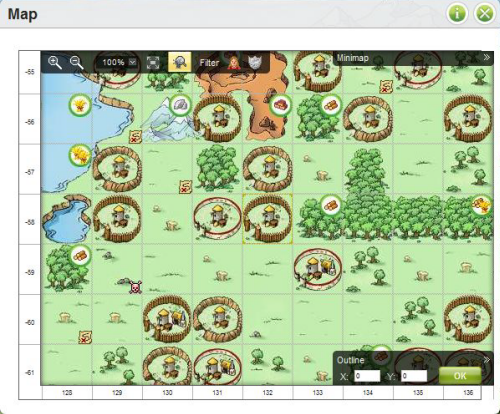 Description: The map shows you the world of Travian. Check out your neighbours to find allies and identify threats. Task: Open the map in the menu. How to do this task: This is an easy task. Click on the Map circle. Once there, you will get your map. To know what each field means, visit this page. If you want to learn how to use map properly, visit this guide. Text upon completion: Are there strong players or alliances near you? The map also helps you find oases and spots where you can settle new villages.